Born in 1945 in Lvov, a Polish city annexed by the Soviet Union postwar as part of western Ukraine, Adam Zagajewski was forcibly repatriated with his family to Poland, and grew up in Silesia. An important figure in the Polish New Wave and Solidarity movements of the ‘70s and ‘80s, he later lived two decades in Paris. As a highly regarded poet in both Europe and the U.S., and a Nobel nominee, he is often classed with the late Polish Nobel Laureates Wislawa Symborska and Czeslaw Milosz. Among his many additional western honors are the Neustadt International Award for Literature, a Guggenheim Fellowship, and the Prix de la Liberté. His work translated into Mandarin has also enjoyed wide Chinese readership. In November 2013, he received the ZhongKun International Poetry Prize (Beijing), followed in March 2014 by the prestigious Poetry & People Award (Guangzhou), where two Chinese collections of his work were launched. The mainland affinity for Zagajewski’s poems bears partly on shared experience under similar governments, but also confirms the work’s strength in translation. Politically passionate in his early years, his art has evolved toward a more personal and lucid philosophical lyricism, alert to life’s ephemeral grace and beauty, amid guarded prospects for epiphany. 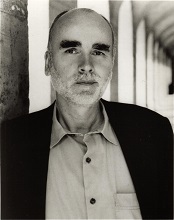 Shortly after the 9/11 attacks, Zagajewski’s renown soared with The New Yorker’s publication of his acclaimed poem “Try to Praise the Mutilated World”. Formerly a professor at the Univ. of Houston in the US, the poet currently teaches fall terms at the Univ. of Chicago, otherwise living in Kracow, Poland. Among Adam Zagajewski’s esteemed English-language translators are Clare Cavanagh, Renata Gorczynski, Benjamin Ivry, and C.K. Williams. His many Chinese translators include Wu Lan, Li Yiliang, Huang Canran, Wang Jiaxin, and Diana Shi. 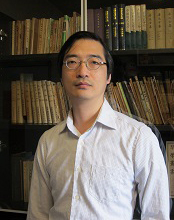 Lu Xixi (Lu Xi), born in 1966 in Wuhan, Hubei Province, China, taught over a decade in secondary schools, then became an editor at the journal Changjiang Literature & Art, also translating and editing for a Chinese Bible edition. She began writing in the mid ‘80s. Her poetry collections are No Longer Dying Away; Kingdom; Selected Poems of Lu Xixi; The Sound of Words; The Source of Words. She has published as well a mixed volume of poems and essays, In Memory of Leaves, and the essay collection A Mother’s Notes. Among her awards are the Liu Li’an Poetry Prize, the Mountain Flowers Poetry Prize, and the Changjiang Literature & Art Poetry Prize. 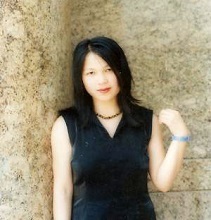 Named one of “China’s New Century Top Ten Young Women Poets”, she lived for some years in Beijing. 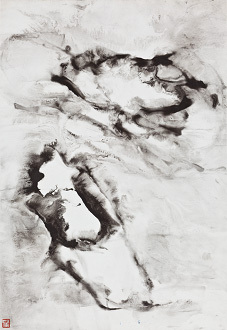 Chan Chi-tak was born in Hong Kong, and earned a B.A. from Tunghai Univ. in Taiwan, followed by a Ph.D. from Hong Kong’s Lingnan Univ. A 2012 resident in the Univ. of Iowa International Writing Program, he currently serves as Asst. Prof. in the Dept. of Literature and Cultural Studies at the Hong Kong Institute of Education. His poetry collections include Life in Mono; Lo-Fi Sound; and To Hell with the Market. Co-founder of the journals Huxi Poetry and Poetry Waves, he has published three essay collections, several academic monographs, and edited three anthologies of Hong Kong literature. Among his awards are four for Creative Writing in Chinese, New Poetry Category (1990 through 2002), as well as two Hong Kong Biennial Poetry Awards for Chinese Literature (2007 and 2009). Prior English translations of his poetry have appeared in The Literary Review; West Coast Line; Renditions; and To Pierce the Material Screen: An Anthology of 20th c. Hong Kong Literature. Share the post "Spring 2014"